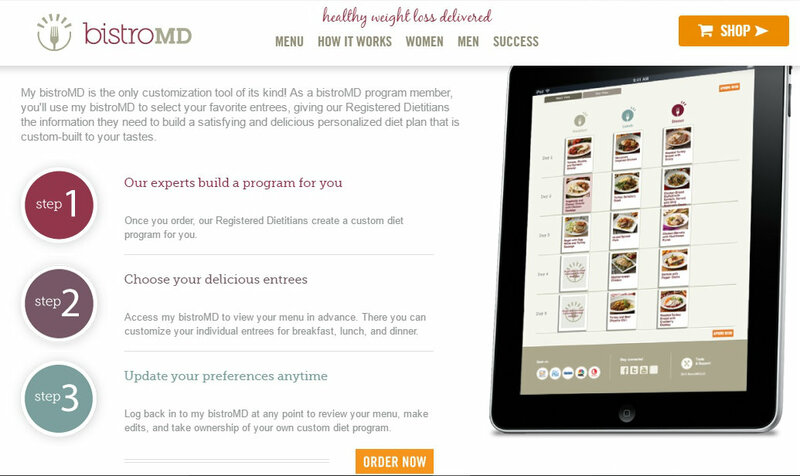 BistroMD is perfect for anyone who wants to lose weight while also learning how to create healthy and balanced meals. It's also a great option for anyone with a busy and active lifestyle and little to no time for meal prep. Meal plan prices start from $119.95 per week. 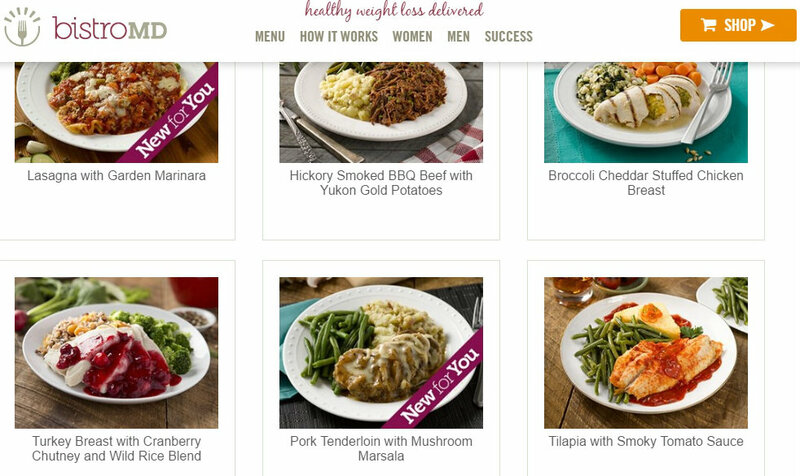 BistroMD takes all of the guesswork out of healthy meal planning. Less of a diet service and more of a lifestyle plan, BistroMD will give you a feel for healthy ingredients and portion control and dieticians are on hand to offer support and guidance. The menu is designed by a weight-loss physician to not only aid weight loss but to help change lifetime habits for the better. The shopping, cooking and shipping are all taken care of. So all you have to do is heat, enjoy and shed that stubborn weight. 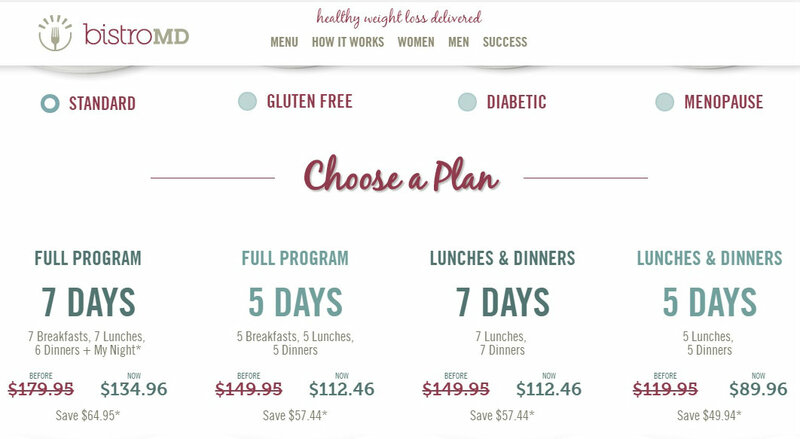 BistroMD really is one of the simplest meal plan programs in the industry. Everything is taken care of from nutrition and shopping, to cooking and shipping, so that the customer simply chooses whether they want a 5 or a 7 day plan, and can sit back and expect their first order within days. Orders can be placed online or over the phone, by creating a quick and simple account. There's also the option to customize the meals - such as creating a plan to suit a gluten free or low carb diet or simply eliminating certain food categories like seafood or meat. The menu plan is entirely flexible and can be changed to suit almost any taste. The main food plans offered include diabetic, gluten free and menopause. These all include a mix of lean proteins, complex carbohydrates, and healthy fats. There are currently no Kosher or Halal options, and many of the products include soy. Anyone with food allergies or more specific preferences are encouraged to chat with customer care about this when upon sign up. Registered dietitians are happy to help customers craft the right diet plan for their needs over the phone or even on Skype. BistroMD has meal plans in four categories, Standard, Diabetic, Gluten Free and Menopause, with options for 2 or 3 meals and 5 or 7 days. 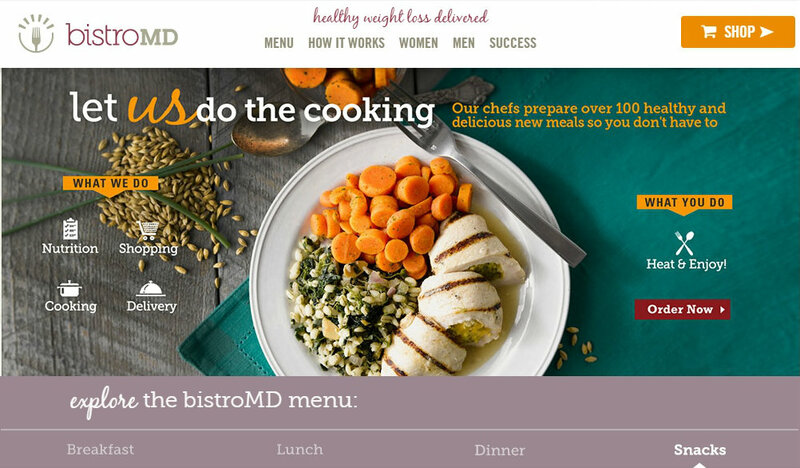 BistroMD was founded in 2005 by Dr. Caroline Cederquist and her husband Ed. Dr. Cederquist is a board certified bariatric physician with 20 years of experience, and BistroMD is the only weight loss meal plan program which is founded by a weight loss clinic physician. With a deep-seated knowledge of metabolic dysfunction, Dr. Cederquist aimed to create a system where patients who had little knowledge about healthy meals and portions could learn from simple flash-frozen healthy plates. These could help them feel empowered to live healthily and learn how to cook for themselves and their families too. Since 2005, the company has been featured widely in the media, including Dr Phil, The Doctors, The Biggest Loser, and NBC. CNN Money has also named BistroMD the best value for money in the industry.